Developers are constructing a twin high-rise rental apartment complex in downtown Evanston, which they say is the first high-rise being constructed in the area since the economic downturn. 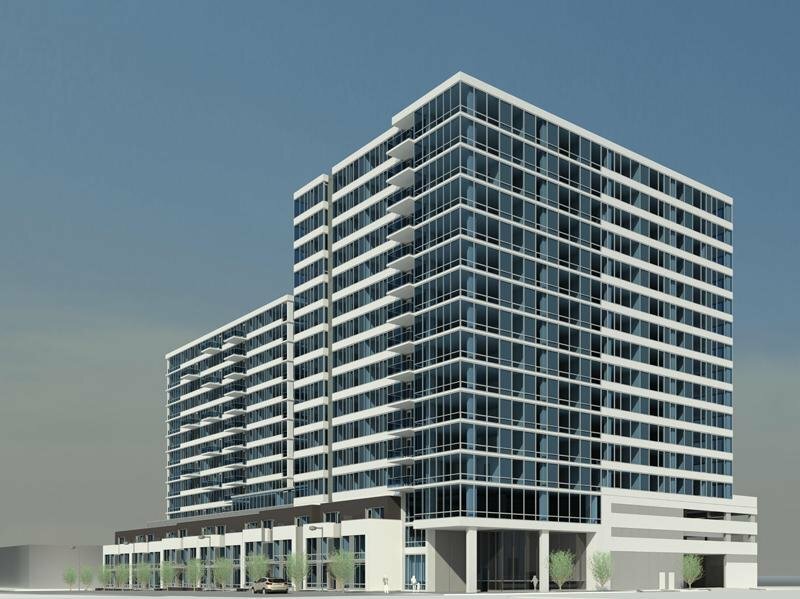 Developers will break ground Tuesday on what is touted as the first luxury rental apartment complex in downtown Evanston. The development will consist of a row of 12 town homes in front of high-rise apartments located at 1881 Oak Ave. and 1890 Maple Ave. The twin high-rise apartment complex, named E2, includes a medley of studios and multi-bedroom apartments that will be connected by a four-story structure with space for parking. Fifield Companies and Carroll Properties are backing the $148 million project, which will include 356 units. Carroll Properties owner Robert King purchased the vacant lot at 1881 Oak Ave. in 2005, envisioning condominium high rises with 10,000 square feet of retail space. After the real estate market collapsed and the plan to build a Trader Joe’s on 1890 Maple Ave. fell through, King partnered with Fifield Companies and started planning for apartment high rises. Throughout the process of approving amendments to the original building plans, Ald. Ann Rainey (8th) and Ald. Peter Braithwaite (2nd) had been the strongest advocates of the 2nd Ward development. City Council passed the amended building plans 7-2 in January. Fifield said he hopes the luxury apartments will attract young professionals, empty nesters and recent Northwestern graduates. The apartment complex will also include a theater, spa and half-size basketball court. The parking structure will be topped with a deck with a view of downtown Evanston, Fifield said. Both developers are considering leasing retail space in the building to a yoga studio. If those talks are unsuccessful, they will seek a stable tenant such as a restaurant, Fifield said. In the second story of the high rise at 1881 Oak St., the developers are planning to lease office space to a business such as a medical clinic. Fifield said the developers will begin pre-leasing the homes three months before completing construction. The townhomes will rent for $3,200 a month and should be the first to sell, Fifield said. The apartments, depending on their relative size, will range from $1,250 to $4,000, he said. “People want to live in downtown Evanston because it’s an urban, hip kind of lifestyle,” Fifield said.